Have you ever felt that something you read or heard someone say was almost taken out of your own head? I resonate so much with the words on the quote above by Maya Angelou that they feel to me like they were mine. Enjoying music is certainly not rare, most people do. And many enjoy it intensely and might even successfully pursue careers in music. But I’m not sure how many of those can feel the sense of surrender, connectedness and exquisite bliss that I have experienced many times in my life. Sublime, sensory intoxicating, spiritual moments if you wish. On some occasions, it was so obvious that people noticed it and had all kinds of different reactions, some of them not very positive. Maybe they could not understand it and that fact made them feel uncomfortable? I’ll probably never know for sure. I just wanted to make music and I wanted to sing most of all. But life turned out to be a bumpy ride, and it took me decades to finally find myself immersed in the world of music for good. I remember listening as a kid to the song Thank You for the Music by ABBA and relating so deeply to the lyrics! The fact is, I fell in love with music early on. And the fact that I had a talent for singing was also noticed early on. But even more importantly, music was my joy, my medicine and my safe space throughout some of my darkest moments and challenging times. It was the vehicle for bonding with both my tone-deaf but music loving father, and my quirky, feisty and wickedly smart mother. She sang with deep emotion, with a soulful 3 1/2 octave voice that for some reason I seemed to be the only one privileged to hear it. They both loved song and poetry in their own way. Later, my musical world kept expanding. 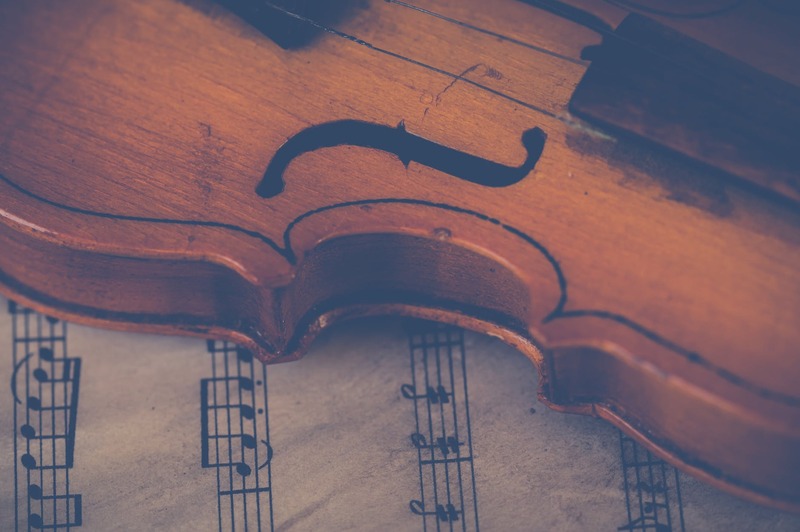 Whether it was the lyrical drama of opera, the neat structure, virtuosity and sheer beauty of baroque music, the simple charms of the renaissance, or the marvelous diversity of musical expressions from around the world, music was there for me. The combination of melody and the word seemed to help me figure out some of the emotional complexities of the human experience. Well, up to a point at least. Music helped me find a temporary but precious “island” of peace within myself. It made it easier for me to find the words to describe my emotions. It even allowed me to open my heart in prayer. One time during my college (university) days, a wonderful singer, Ginamaria Hidalgo, came to offer a recital at a local theater/concert hall. All of us, members of the school’s official choirs and music groups were offered free tickets and I was eager to attend to this recital by a most gifted performer. (1) The event turned into a wonderful night of song. All my fellow choir members in attendance agreed. But they were teasing and making fun of me, in a light-hearted way, I think, for the next few days. Why so, you might be wondering. Well, it was because they all noticed, somehow, that I was completely transfixed by the musical experience of voice, guitar and the poetry in their songs. Mind you, none of my fellow choir singers was sitting anywhere near me! And they were not the only ones to notice either, Ms. Hidalgo did too! At one point she stood up from her stool and started walking like she intended to get off the stage. And get off the stage she did! By that time she had recovered from a terrible accident that left her unable to perform standing up for more than a few minutes. The fact that she could still sing was considered a miracle by many. It also made what happened next all the more remarkable. She kept singing while passing through the audience, but not paying attention to any of the people in attendance. Or so it seemed. She kept singing and walking through the aisles of the theater, seemingly towards the section in which I was sitting. I was sitting quite far from the stage, it was a free ticket after all! As she came closer I realized that her eyes had been locked on me the whole time. And as she finally stood in front of me in my trance-like, spellbound state, she looked at me in such an intense yet loving way, that the “spell” remained unbroken. No fear or worries, it felt like the world stood still. Then she reached out, gently grabbed my hand and held it for seconds that felt like hours. No small talk, not even one of those formulaic Q&A’s with some random audience member performers sometimes do. Just a moment of non-verbal connection and acknowledgement. I guess she recognized that we both “got it” at a different, transcendental level and she made sure to let me know. For that, no words were needed. My singing and hours of listening to music at the university library were the only reasons I was able to endure the increasing confusion and loneliness of university life. I had attached myself to the little group of classmates from my high school that had also been accepted there. But of course, they gradually moved on in pursue of their individual interests, relationships and areas of specialized study. I also failed at establishing relationships on campus, besides superficial ones at rehearsals. In some courses, when I could get away with it, I would show up only to take the exams! With all that, my all too familiar social isolation kept increasing. I felt miserable, more than I could admit to myself! My social lifeline was my family, where others had friends I had my cousins! The day of my graduation, with a degree in Math/Computer Science, I would have much preferred skipping the whole chaotic ordeal, and I could barely drive back home from all the tears, and believe me, they were not years of joy. I felt completely unprepared to face the world and appalled by the employment prospects. By then I had been enthusiastically encouraged to audition for a Conservatory of Music as a Voice Major. That was something I would have pursued much earlier had it not been for the whole “starving musician” stereotype and “good advice based on common sense”. After all, choosing a career in music when I was allegedly good at math and science was just crazy, right? I guess that you could say that I have a generous amount of “special interests.” Some have turned out to be transient, some have stayed with me for most of my life. I even have some skill for a few things I don’t really care that much about. That turned out to be problematic and caused me a lot of pain and wasted time and effort. Because for decades, I either followed my passions with fear of other’s opinions and lack of focus, or worse, not believing in myself, I tried to turn my back on them, even my beloved music, while pursuing a series of dead ends. I put too much effort in following well-meaning but misguided advice from others. These were people who wanted the best for me. Nevertheless, they had even less understanding of how my brain worked so differently from theirs than me, and trust me, I was CLUELESS! They had no way of knowing how flawed their advice was for someone like me. I was none the wiser! The pain of this realization was a primary inspiration for my previous post Burned Bridges, Lost Opportunities. Don’t get me wrong, my neurological differences still have an impact in my life. Communication, executive functioning, and other aspects continue to be a challenge, but the quality of my work now that I work in the music field full-time, and the joy I get from it is unprecedented, compared to all my previous efforts. And now, at least I have a clue about why this is so and what my support needs are. Because here’s the thing; while we (autistics and other neurodiverse people) can be shockingly “bad” at doing things that we are not well suited for, regardless of how much effort we put into them, we are our best selves when following our passions and building on our strengths. Today I can only be grateful for the music and some of my other quirks and I could not imagine “trading them” for some sort of “normalcy.” For these and many other reasons, I thank the Source of All Music, for having always been there for me, and for this gift that I have at times undervalued or taken for granted. 1) An example of one Ginamaria Hidalgo’s most “avant-garde” repertoire choices, that she also sang that night, can be heard in the following link. The song is in Spanish and its title translates to “The Voices of the Birds of Hiroshima.” Imagine a couple of birds flying over the destruction left by the bomb and looking for a place to make a nest. I Thank you for sharing your wonderful thoughts. Never knew your mom could sing. I’ve been told I can sing and I perform in my car everyday…lol. Not many have heard me though. I guess the “shy singer syndrome” runs in the family, cousin!